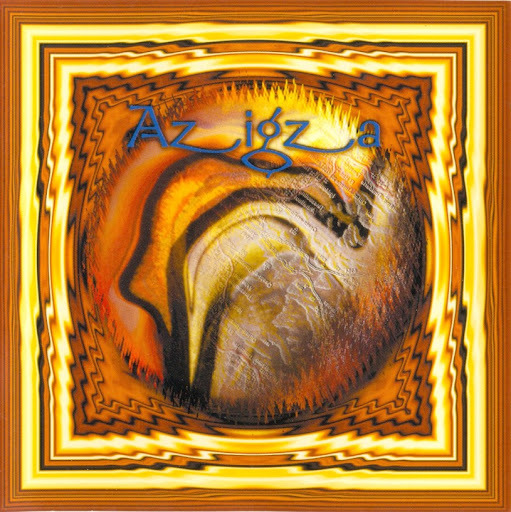 The use of Middle-Eastern instruments (especially percussion), tonalities and rhythms make Azigza an interesting band. Their sound is an amalgam of spacey prog rock and world music (heavy on the middle eastern and perhaps Indian parts of the world), with lots of odd meters and polyrhythms. When the vocals begin, you'll expect to hear Arabic, but you won't ... the vocals are in English. This would be very good "Dance til you Trance" music, but I don't mean Rave music, this is about as far from a Techno sound as it gets. Instead, this is a very earthy sound, though still using electric instruments with the acoustic ones.